Last year, we wrote about Five Cafés To Work From in Brussels. It seems to have struck a chord with those looking for a decent cup, comfy seats and – crucially – a good internet connection. It has become our most popular blog post. So here are five more cafés that we like to work from in Brussels when we get the opportunity. 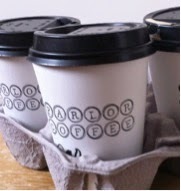 1/ Parlor Coffee is the new office favourite. Conveniently located ten minutes from SC towers on foot, it offers a high quality of coffee and food, as well as a cosy atmosphere. If you go from Friday to Sunday, try out their amazing brunch options. 2/ Ranked third on TripAdvisor’s best Brussels restaurants, Aksum Coffee House is an institution. It may be small, but with a selection of drinks and cakes from across Africa, including a delicious passion fruit dacquoise (touted by some as the best cake in Brussels), you might find it difficult to leave. 3/ I am writing this blog post from Jat’ café, another fairly new addition to the burgeoning Brussels coffee scene. Spacious, with many plugs for your electronic devices, it’s a perfect location for working downtown. They also provide free small cakes with your coffee – another reason to visit. 4/ Maison du Peuple is really a café-bar and a very nice place to work from in Saint-Gilles. Many people are still hunched over their laptops until late in the evening. You can usually get a seat at any time of day and the food and drink choice is plentiful. 5/ A new branch of OR Espresso Bar has recently opened on Place Jourdan. Larger than its city centre counterpart, this café offers an open space to work in, conveniently located near the European district and also has some plugs for electronic devices.